First of all, when Econicraft 2.0 launches, I will be selecting my own team of admins to keep Econicraft a fun, friendly, and functional server. I will NOT be selecting the admins beforehand but they will most likely be the same people (it all really depends on who is still here and how much time they are able to devote to the server). As of right now, everyone that is currently involved here on the forum is of the same rank. We are all players interested in getting the server back online so we will work as a single team to achieve this goal. Besides the fact that it will probably take me a few thousand years to get PEX working again, all ranks are currently suspended. As for moderators, they will be elected like usual once the RELEASE version of Econicraft 2.0 is set up. I stress the "release" because I envision the majority of June being a beta month, similar to the state we were in before we released Econicraft for the first time. The admins, as mentioned before, will also be selected at this time by me. Econicraft 2.0 BETA is launched. A new map is generated, plans for the new spawn are finalized, and three construction managers are named. The spawn is constructed and plugins are organized. Admins are named and moderator elections are held. 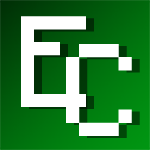 Econicraft 2.0 is launched to the public. A construction manager is a player who is put in charge of overseeing the construction process and ensuring that it is completed on schedule. Because there will be many players involved in the building process, these managers will be the only ones with creative mode and will be responsible for supplying builders with the materials they need. This will prevent the over use of creative mode and it will enable me to keep close tabs on who has what. Construction managers will also be closely involved with the project, building it along with non managers and making sure that everyone is on task. I have left out the building of other projects because I want those to be done as new people come to the server so that everyone can have a chance to work on new and exciting projects. I HOPE THAT HELPS SOMEWHAT, LOVE YOU GUYS!